Preparation Methods & Dosage :Fresh mullein flowers can be made into extracts, infused in oil, or taken as a tea. 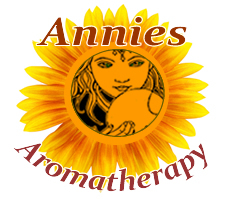 Often combined with garlic in oil and with other herbs in teas for coughs: anise, coltsfoot, marshmallow, and comfrey. A fresh poultice of the mashed leaves make an excellent antimicrobial, astringent first aid remedy for minor burns and insect bites. 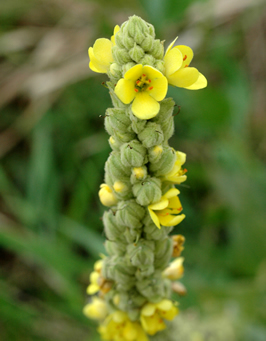 Mullein combines well with black cohosh and Lobelia inflata in liniments. This wayside weed is common to clear-cuts, burned areas, and partially developed lands in the West, where it often serves to regain biological balance and prevent erosion. Plant prefers disturbed soil, full sun and moderate water. Start in flats and transplant when first leaves appear Needs light to germinate. Hardy Biennial Flowers can be collected from 2 year old plants as they open. Seeds can be saved for years. Leaves can be harvested as they appear, in the first year of growth. Flowers,leaves and buds can be harvested, dried and stored in airtight jars. W. T. Fernie ,M.D. (2010-03-04). Herbal Simples Approved For Modern Uses Of Cure - W. T. Fernie ,M.D. (Kindle Locations 4407-4409). Unknown. Kindle Edition. The dried leaves of the Mullein plant, if smoked in an ordinary tobacco pipe, will completely control the hacking cough of consumption; and they can be employed with equal benefit, when made into cigarettes, for asthma, and for spasmodic coughs in general. Some of the most brilliant results have been obtained in suppurative inflammation of the inner ear by a single application of Mullein oil. In acute or chronic cases of this otorrhoea, two or three drops of the oil should be made fall into the ear twice or thrice in the day.